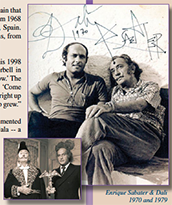 Through a chance meeting Enrique Sabater became both the confidant and protector of Dali's Impromptu sketches. This book paints a very human picture of Salvador Dali from the perspective of Sabater who accompanied and photographed the artist around the globe for 12 years. 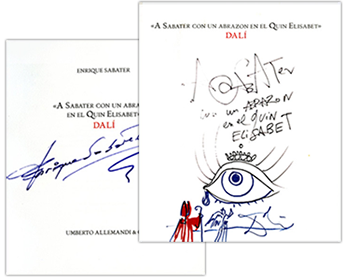 Includes photos and illustrations of the sketches Dali made for Sabater, plus polyglot text of Sabater's memoirs in English and four other languages.